When you make a point to clear the clutter from your home, you’re not only helping to keep your house orderly and clean, you’re taking steps that benefit your health and mind as well. At Major Organizers®, our professional organizers understand that life can get crazy when you’re trying to balance work, family and finances at the same time. That’s why we’re proud to offer a variety of decluttering services for our thousands of clients throughout the United States. Whether you’re looking to hire professional organizers to visit your home once a month or once a week, getting your home in an orderly fashion can do wonders for your physical and mental health. At the end of the day, many people would agree that they are products of their environment and vice versa, since their home and workspace can have a physical, mental and even emotional effect on their health. At Major Organizers, we know how quickly life can get messy and disorderly when you’re constantly trying to balance everything. When our environment becomes disorganized, our physical, mental and emotional health can get sloppy as well and we tend to feel less energetic and efficient throughout the day. By taking the time to remove unwanted and unnecessary junk from your home, your detoxifying your surroundings and creating more room to grow. In a calm and organized space, we have the ability to gain a better understanding of compassion for ourselves and others, without the the various unnecessary distractions of everyday life. 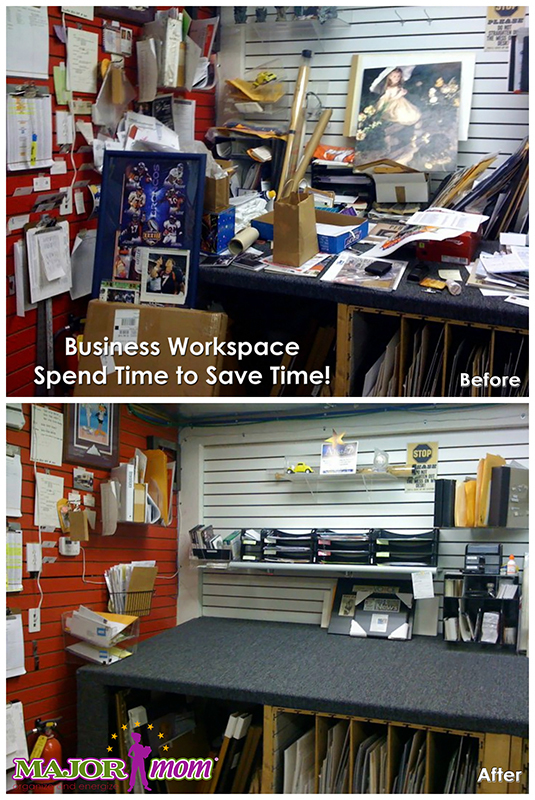 The first step to organizing your home or office for better health is by clearing out the clutter from your environment. If you take the time to make small, daily steps to clean and organize your home, you’ll start to notice a huge difference in your stress and energy levels. Recent studies have found that mild to moderate physical exercise, including housework and cleaning, can boost mental health, reduce stress and promote proper blood circulation. If you’re too busy to organize your home or office, but you’d still like to receive the health benefits of a clean and tidy home, consider hiring a professional organizer like the ones at Major Organizers! Aside from the mental and emotional benefits of staying organized, your body will thank you as well! When you take the time to free your environment of clutter, it can have a positive effect on your blood flow and circulation while reducing your levels of oxidative stress. Recent studies have also shown that our bodies have better antioxidant protection, which can assist in a variety of chronic conditions such as cancer and depression. If your messy household is becoming overwhelming or you just can’t seem to tackle that stack of random papers in your home office, contact the professional organizers at Major Organizers today. We have several service locations throughout the United States, so if you live near Denver, Colorado Springs, Columbus or Phoenix, our organization experts would be happy to help you declutter your home or office. Contact us today to learn more about our services!